Located in Melbourne Central Business District, this luxury hotel is within a 10-minute walk of Yarra Riverfront and Melbourne Convention and Exhibition Centre. SEA LIFE Melbourne and South Melbourne Market are also within 15 minutes. Southern Cross Station is 16 minutes by foot and Flinders Street Station is 20 minutes. Located in Melbourne Central Business District, this luxury hotel is within a 10-minute walk of Yarra Riverfront, Melbourne Convention and Exhibition Centre, and Eureka Skydeck 88. Eureka Tower and SEA LIFE Melbourne are also within 15 minutes. Flinders Street Station is 14 minutes by foot and Southern Cross Station is 18 minutes. 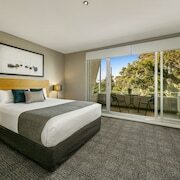 This family-friendly Southbank hotel is located on the waterfront, within a 10-minute walk of Yarra Riverfront, Melbourne Convention and Exhibition Centre, and Eureka Skydeck 88. Eureka Tower and SEA LIFE Melbourne are also within 15 minutes. Flinders Street Station is 14 minutes by foot and Southern Cross Station is 18 minutes. 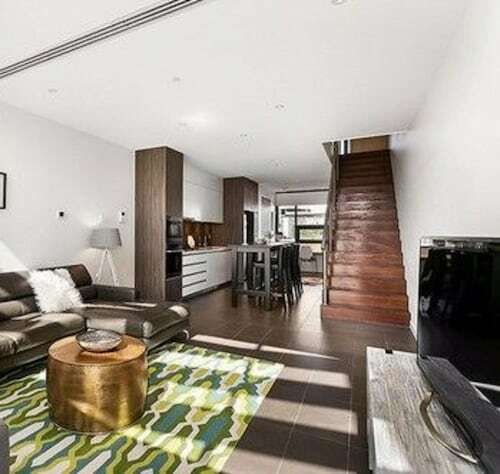 Located in Melbourne Central Business District, this apartment building is steps from Yarra Riverfront and Melbourne Convention and Exhibition Centre. SEA LIFE Melbourne and South Melbourne Market are also within 15 minutes. Southern Cross Station is 16 minutes by foot and Flinders Street Station is 21 minutes. Situated on a lake, this hotel is within 9 mi (15 km) of Watergardens Town Centre, Ace Karts - Real Life Racing, and Overnewton Castle. 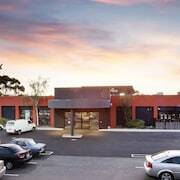 Flemington Racecourse and Highpoint Shopping Centre are also within 12 mi (20 km). 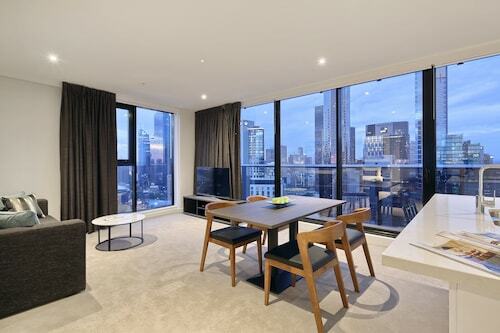 Located in Melbourne Central Business District, this apartment building is within a 10-minute walk of Yarra Riverfront, Eureka Tower, and Eureka Skydeck 88. 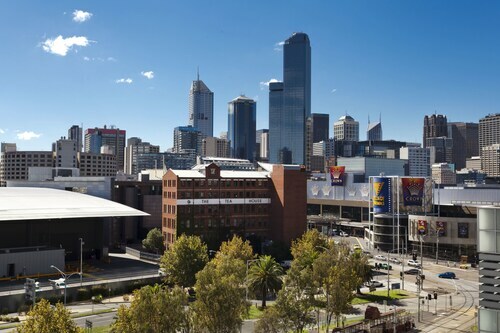 Melbourne Arts Centre and Melbourne Convention and Exhibition Centre are also within 15 minutes. Flinders Street Station is 15 minutes by foot and Flagstaff Station is 28 minutes. 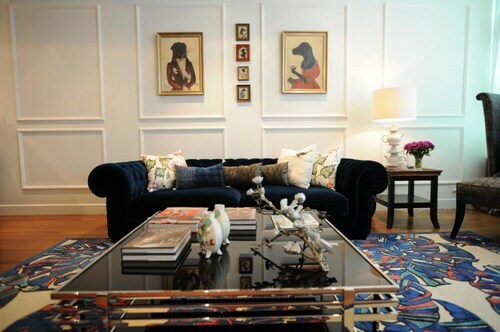 Located in Melbourne Central Business District, this apartment building is within a 10-minute walk of Melbourne Arts Centre and National Gallery of Victoria. Collins Street and Rod Laver Arena are also within 1 mi (2 km). Flinders Street Station is 10 minutes by foot and Melbourne Central Station is 25 minutes. Situated in Dandenongs, this motel is 0.8 mi (1.3 km) from The Public Brewery and within 6 mi (10 km) of Eastland and 100 Acres Reserve. Dandenong Ranges National Park and Lillydale Lake are also within 9 mi (15 km). Croydon Station is 20 minutes by foot. 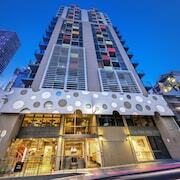 Located in Melbourne Central Business District, this apartment building is steps from Yarra Riverfront and SEA LIFE Melbourne. 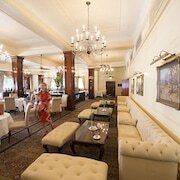 Melbourne Convention and Exhibition Centre and Flinders Lane are also within 15 minutes. Southern Cross Station is 10 minutes by foot and Flinders Street Station is 14 minutes. 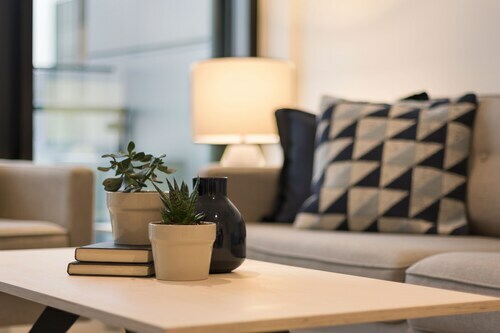 Located in Melbourne Central Business District, this apartment building is steps from Southbank Promenade, Melbourne Convention and Exhibition Centre, and DFO South Wharf. SEA LIFE Melbourne and Marvel Stadium are also within 1 mi (2 km). Southern Cross Station is 19 minutes by foot and Flinders Street Station is 26 minutes. 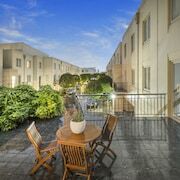 Located in Melbourne Central Business District, this apartment building is within a 10-minute walk of Yarra Riverfront and Melbourne Convention and Exhibition Centre. Eureka Tower and SEA LIFE Melbourne are also within 15 minutes. Flinders Street Station is 19 minutes by foot and Southern Cross Station is 20 minutes. Ding-ding-ding! Yes! You’ve hit the jackpot! Wait, that’s just your alarm. Well, if you were in Melbourne, it could be the sound of you winning big. 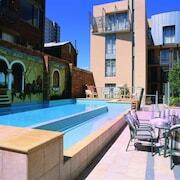 That is, if you spend your next holiday at a casino hotel in Melbourne. Don’t fancy yourself a big risk-taker? No worries—these hotels are a sure bet.